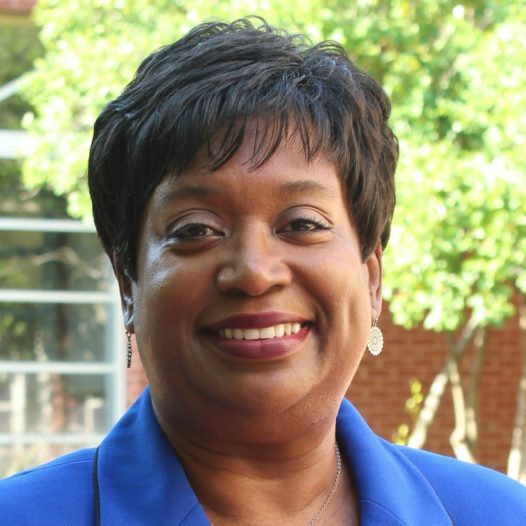 Student Affairs supports the educational mission of the University by providing programs, services, and co-curricular experiences that contribute to student development and the FMU intellectual community. Student Affairs seeks to develop the whole student by initiating platforms for self-expression and personal growth thereby enhancing student potential for success through leadership opportunities, citizenship education, networking, and community development. The Division of Student Affairs is located in the Smith University Center, Suite 205 and can be reached at 843-661-1182. The following documents show the commitment of Student Affairs to the overall experience of Francis Marion students. Maintaining a just and safe learning environment for our students is one of the primary objectives of Student Affairs. Upon becoming a member of the Francis Marion University community, students are expected to behave with honor and integrity in a manner that reflects the values of the institution. Students must interact in a civil manner, both in and out of the classroom, treating all persons and property with respect. Upon enrollment at FMU, students pledge not to lie, cheat, or steal. They also pledge not to violate the FMU Honor Code or any civil/criminal laws. Inasmuch as honor and integrity serve to define one’s character, the University community expects that students will not tolerate the aforementioned behaviors in others and will exhibit reasonable judgment in reporting students who violate the FMU Honor Code. The FMU Honor Code consists of two sections: academic and student conduct. Each section contains the expectations, policies, and procedures that apply to all Francis Marion University students. These sections are designed to support the University community from disruption and harm, and to maintain appropriate standards of individual and group behavior. The sections should be read broadly and are not intended to define misconduct in exhaustive terms. The University reserves the right to take all necessary and appropriate steps to protect the safety and well being of the campus community. Any act committed by a student, whether on or off campus, which is determined by the University to be a threat to the safety or well being of the community or that is disruptive to the primary purposes of the University may result in the University taking action in accordance with community standards. Student, for the purpose of this policy, is defined as a person enrolled for one or more hours of academic credit, or in noncredit course or courses offered in the name of the University; or a person admitted or seeking admission to the University if action is related to University admission, function, or event. Violations by non-students may result in restricted access to campus or University events. Non-students are expected to abide by these policies as well. It is the responsibility of the student host of the non-student to make his or her guest aware of these behavioral expectations. The classroom is an integral component of the educational community, and FMU strives to provide an environment appropriate to the University setting. Students are expected to interact in a civil manner, treating all persons with respect, and to adhere to behavioral standards contained in the respective course syllabi. Disruption of classroom instruction by students is not tolerated and will result in removal of the disruptive student or students from class. Disruptive or uncivil behavior in the classroom may result in appropriate disciplinary action, which could include suspension, expulsion, or other University sanctions. A primary responsibility of an instructor is to certify that a specific academic assignment has been mastered sufficiently to merit college credit. An inseparable part of this responsibility is to take all possible precautions to ensure that the credit has not been attained by fraud. The instructor should rigorously enforce honesty concerning all academic work submitted by his/her students for evaluation. While it is difficult to define precisely and inclusively all aspects of academic dishonesty, the following statements should serve as a guide. Cheating includes, but is not limited to, wrongfully giving, taking or presenting any information or material by a student with the intent of aiding him/herself or any other person on any academic work that is considered in any way in the determination of the final grade. Plagiarism involves the use of the ideas or writings of another without acknowledgment of that use. A more detailed description is located in the Student Handbook. If a faculty member believes a student has committed an act of cheating or plagiarism, he or she should notify the student of the allegation and give the student an opportunity to respond. The faculty member’s department chair or school dean may be present at any meeting between the faculty member and the student. Whenever possible, this process should occur prior to the submission of final grades. When notification occurs after the submission of grades, the instructor will provide the student a post factum opportunity to rebut the charge. If, in the judgment of the instructor, the student is able to show that the charge is unsubstantiated, the instructor will withdraw the allegation and remove the academic penalty. If the faculty member determines that a violation has in fact occurred, he or she should then notify the Provost’s Office of the allegation in writing, with copies sent to the faculty member’s dean or department chairperson. The Provost or designee will serve as an adviser to the faculty member to assure that all appropriate due process is provided to the student and that proper procedures are followed. See the Student Handbook for details regarding the procedures. Violations of the academic conduct policy strike at the very heart of the University and the teaching and learning process. It is the responsibility of the instructor to determine the appropriate academic penalty for an act of cheating or plagiarism. Normally these penalties range from failure on the assignment to failure of the course. It is responsibility of the Provost or his/her designee to apply general university sanctions for severe or repeat offenses. The first violation of the academic integrity policy typically carries no general sanction beyond the academic penalty. A second violation will result in the academic penalty in addition to a general sanction of suspension from the University for a term of no less than one fall or spring semester. A third offense will result in the academic penalty and a general sanction of expulsion from the University. Campus Police officers, Residence Life and Housing staff, and other University officials are charged with the maintenance of appropriate student behavior. As a result, occasions may arise when these persons must confront students who they believe are violating University or residence hall standards of conduct. In such cases, these officials will make contact with the student whenever possible and inform him/her that they may be charged with a violation of the code. Campus Police officers will normally inform the student who they believe has allegedly committed the violation and refer the student to the Dean of Students Office. The referral will normally include a prepared incident report. Housing staff may inform the student verbally that he/she is being referred for an alleged violation of standards. These staff members will subsequently prepare a report of the incident leading to the allegation. A copy of this report will be forwarded to the offices of Housing and the Dean of Students. Depending upon the seriousness of the alleged violation, the student will be informed by one the above named offices to report to that office within a certain period of time for adjudication of the alleged violation. The student will be required to meet with the University Conduct Officer appointed by the Dean of Students. Other community members such as faculty, administrators, or fellow students may also from time-to-time report alleged violations to the conduct officials of the University. In these cases, the alleged violator will receive a letter from the University Conduct Officer appointed by the Dean of Students. In compliance with the Tucker Hipps Transparency Act below is a list of all violations of Francis Marion’s Honor Code by fraternities and sororities registered as student organizations at the University. The act requires a report of actual findings of violations for offenses after December 31, 2012 involving: alcohol, drugs, sexual assault, physical assault, and hazing. The report must also contain: the name of the organization, the date on which the event occurred or dates on which the citation was issued, the date the investigation was initiated, general incident description, charges, findings, sanctions, and date on which the matter was resolved. The initial investigation into all incidents listed below was to determine if a violation of the hazing policy had occurred. However, upon further investigation it was determined that in some cases there were no violations of the hazing policy but other policy violations were evident. Finally, in some cases an organization may not have been charged with any violations of University policy but held responsible for the creation of discord within the campus climate. Additional information related to findings, sanctions, and organizational sanction completion may be available through the Student Affairs office, to the extent allowable under the the Family Education Rights and Privacy Act (FERPA) 20 U.S.C. 1232g. Further inquiries should be directed to the Student Affairs Office, which will provide non-privileged information pursuant to the terms of the South Carolina Freedom of Information Act. The University deems it essential that members of the campus community be provided an adequate opportunity to bring concerns, complaints, suggestions and/or referrals to the attention of the administration with the assurance they will be treated promptly, professionally, fairly, and without fear of reprisal. If anyone believes he or she has been mistreated by any member of the campus community, the procedures below should be followed. These procedures are intended to simplify the proper route in which to follow to report any perceived mistreatment by a University employee or student and is not intended to replace any existing policy or process for matters that may be grieved (i.e. sexual harassment, grade appeals, etc.). Concerns about faculty on academic or other matters should be reported to the department chair or dean who supervises the professor or instructor. Faculty members should follow the procedures outlined in the Faculty Handbook. Concerns about any form of perceived mistreatment by a university employee should be reported to the employee’s supervisor or the office of the Vice President of the division to which the employee belongs. Students who are unsure where to search can contact the Dean of Students Office. Admissions, registration, advising, or financial assistance issues should be reported to the Associate Provost for Enrollment Management or the Provost’s Office. Concerns about billing, student accounts, or other administrative issues such as Campus Police, Dining Services, Bookstore, and Housing should be reported to the office of the Vice President for Business Affairs. The SC Commission on Higher Education responds to formal complaints from students against public, independent non-profit and proprietary institutions of higher education in South Carolina. The Student Ombudsman Office was created to address student non-academic complaints and concerns on campus. The Student Ombudsman helps students maneuver through campus procedures, policies, and regulations that may need clarification. In addition, the Student Ombudsman serves as an objective listener to student concerns and fosters student success. Students should be aware that once a concern is reported, the complainant may be directed to take further steps or action to have the matter addressed. When reporting to the Student Ombudsman Office, the student will be able to determine the appropriate steps to address his or her concerns. The Student Ombudsman is Katherine Barnette. The Student Ombudsman Office is located in the Stokes Administration Building, Suite 111. 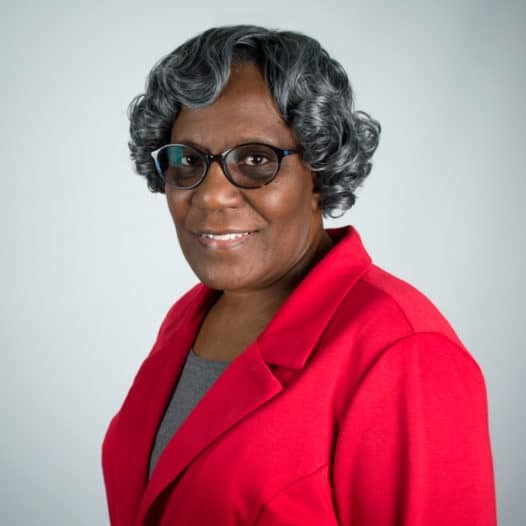 You may also reach Ms. Barnette at ombudsman@fmarion.edu. Faculty and staff may use this form to relay information regarding incidents to the Student Affairs Office. – Applications will be reviewed to determine which candidates will be extended an invitation to participate in the program. The class maximum is 50. Applicants will be notified, via the University email address provided on the application, once applications are processed. Applicants must be first-time freshmen students who are enrolled full-time and in good standing with the University. The direct link to the Homecoming Court Application is located below on the announcement. All applications must be accompanied with a verification form by the deadline noted on the announcement. Please direct all questions to Dr. Carter-McCants at rcarter@fmarion.edu or Ms. Alex McGill at alex.mcgill@fmarion.edu. Students interested in participating as a member of the Campus Activities Board (CAB) should read the information provided below and complete the application. The deadline for applications is Friday, September 13, 2019 by 5 p.m. (for new Freshmen students). Priority deadline for upperclassmen is May 10, 2019. The Campus Activities Board is a vital and essential component of campus life for the students at Francis Marion University. CAB serves the student body by providing a variety of programs and services that enhance the out-of-the-classroom experience, promotes leadership and contributes to the overall mission of the Office of Student Affairs. CAB presents well planned social, cultural and educational events to students. The Board creates lasting memories and provides diverse opportunities for students, by students. 1. Complete applications are due no later than Friday, September 13, 2019 by 5:00 pm. Priority deadline is May 10, 2019. 2. Upperclassmen applications will be reviewed to verify GPA and disciplinary status, if applicable. All Freshmen candidates must be full-time students. 3. Eligible candidates must sign up for an interview time upon completion and review of all applications. 4. Successful candidates must be available and willing to attend CAB bi-weekly meetings, trainings and a designated number of CAB sponsored events. In good standing academically and disciplinary, if applicable. Students currently on probation are not eligible. Any modifications to the process and/or eligibility are at the total discretion of the CAB advisor(s) and the Office of Student Affairs. Please use your FMU email address! The Dean of Students Office offers mediation services for students needing assistance. Mediation is voluntary, confidential and aimed toward positive communication. Sessions are scheduled with each party and should last no longer than one hour. Matters requiring additional time will be referred to outside resources. Conflict Management and Mediation training are also available to students interested in improving their skills. Information regarding dates and times for conflict management and mediation training are available in the Student Affairs Office at 843-661-1182. Student Health Services at FMU employs one full-time nurse practitioner. Student Health Services provides acute care, health and wellness programs, birth control, STD checks, and assistance with mental health issues for FMU students, staff, and faculty on an appointment basis. There are no fees to be seen, but fees are incurred if off-site laboratory testing or additional diagnostic tests are necessary. Students may be referred to another medical provider as needed. Students are responsible for all fees incurred from referrals and diagnostic testing. Student Health Services works closely with the FMU Counseling Center to meet the various mental health needs of students. Student Health Services also offers a part-time nurse practitioner who specializes in women’s health. She is available one afternoon a week. Please call 843-661-1844 to schedule an appointment to be seen. Student Health Services works to enhance the educational process by utilizing every opportunity to promote lifelong health through review of social history, habits and health history, assist students to make informed health related decisions and become good consumers of health care. Leadership, volunteerism and citizenship education are essential elements for success on campus and within our communities. Students at FMU have an opportunity to explore a variety of leadership opportunities. Leadership FMU is offered as a co-curricular hybrid (classroom and online) leadership program. Each student in the program agrees to meet with other students in a classroom setting to learn the basic concepts of leadership through case studies and engaging with other students, faculty, staff and community leaders. 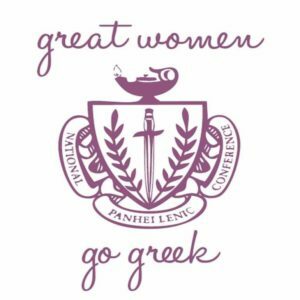 Graduates from the program have used their experiences in student government, honor societies and various student organizations on campus. The program was featured in the University’s Patriot Viewbook and described as a “movers and shakers” program. Graduates reported that their experiences have been beneficial as they pursue graduate school, embark on the job market or apply for other leadership opportunities on campus. For more information on Leadership FMU, click here. The Compass is a leadership lecture series designed to expose students to leadership perspectives from a variety of leaders within the FMU community and the surrounding Florence area. Throughout the academic year, students will have an opportunity to engage in sessions, film discussions and open forums specifically created for student leaders and students interested in becoming leaders. Students interested in being part of the planning committee for the lecture series can contact the Student Affairs office at FMUStudentAffairs@fmarion.edu or complete a contact form by clicking here. This competition gives students an opportunity to work in teams and engage in an activity that demonstrates the ability to function at a higher level of productivity. Teams compete against other teams through case studies developed to test student leadership skills, presentation, teamwork and critical thinking. Click here for more information. The Student Affairs Advisory Board is advised by the Vice President for Student Affairs and the Academic Affairs Board is advised by the University Provost. The groups are students from the FMU student body who will meet with the Vice President for Student Affairs or the Provost throughout the academic year to share ideas, thoughts, and concerns regarding their collegiate experience at the University. The members of this diverse group will represent experiences from the first-year to graduate school students. The frequency of meetings will be determined by each adviser. Students selected to join the advisory board will be well-informed on matters at the University and may be expected to not only share the information but assists in various efforts initiated by the University. Interest students can apply by clicking here. Army Reserve Officer Training Corps (ROTC) is a coeducational program dedicated to developing college-educated men and women to serve in challenging positions of leadership, responsibility, and varied managerial positions both as officers in the U.S. Army and civilians in corporate America. The Smith University Center (UC) serves several functions at FMU. Recreational and athletic facilities located in the UC include a 3000-seat varsity gymnasium with two practice basketball courts, an eight-lane varsity swimming pool with three diving boards, a sauna, four handball/racquetball courts, men’s and women’s locker rooms, a canteen/game area with billiards and ping pong equipment, and a fitness room with free weights, exercise machines and cardiovascular equipment. 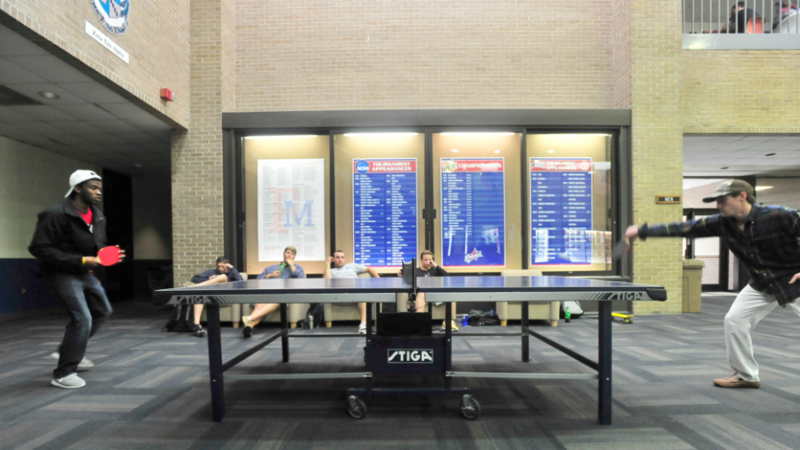 Recreation equipment, including pool cues & balls, table tennis paddles & balls, racquets, footballs, basketballs, volleyballs & softball/baseball equipment, weight lifting belts, and other various equipment is available from the UC Information Desk located in the first floor commons area. The University Center Commons serves as a lounge and recreational area for the University community on a daily basis. Throughout the year, numerous special events are held in the Commons and the UC lawn, including comedy shows, concerts, picnics, festivals, displays, and other activities. Exterior athletic facilities include Cormell Field, a lighted baseball complex; Kassab Courts, eight tennis courts surfaced with plexipave, four of which are lighted; intramural fields; an all-weather track; a soccer field; and a softball field. The space is also surrounded by a cross country trail through the campus forest that doubles as a recreational walking/jogging space. In addition to the athletic space, a separate park area exists on campus with outdoor basketball goals, a sand volleyball court, and a recreational pool. Offices located in the UC include Student Affairs, Athletics, Dean of Students, Student Life, Campus Recreation, Multicultural Affairs, Career Development, The Patriot Newspaper, University Programming Board, and Student Government Association. The Patriot Bookstore is located on the first floor of the UC. 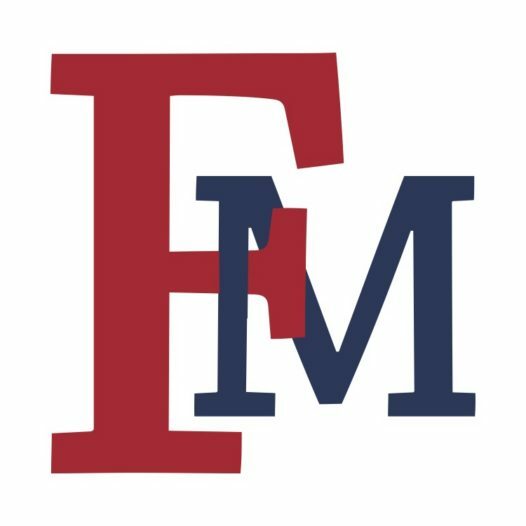 Current students, faculty, staff, and members of the FMU Alumni Association may use the University Center or other campus recreation facilities with a valid FMU ID card. All guests must have a guest pass and be accompanied by a member of the University. Students, faculty, and staff can purchase guest passes for their guests from the Office of Student Life. Cost for a pass is $2.00 per guest. A guest pass is valid for only one day. Family passes, valid for one year, are also available for purchase by faculty, staff, and members of the FMU Alumni Association. Unauthorized persons may be considered trespassing. Please note that these hours are subject to change. Please call 843-661-1189 for the most up-to-date information. Mon. – Thurs. 8 a.m. – 11 p.m.
Mon. – Fri. 1 p.m. – 7 p.m. Sat. and Sun. 1 p.m. – 5 p.m.